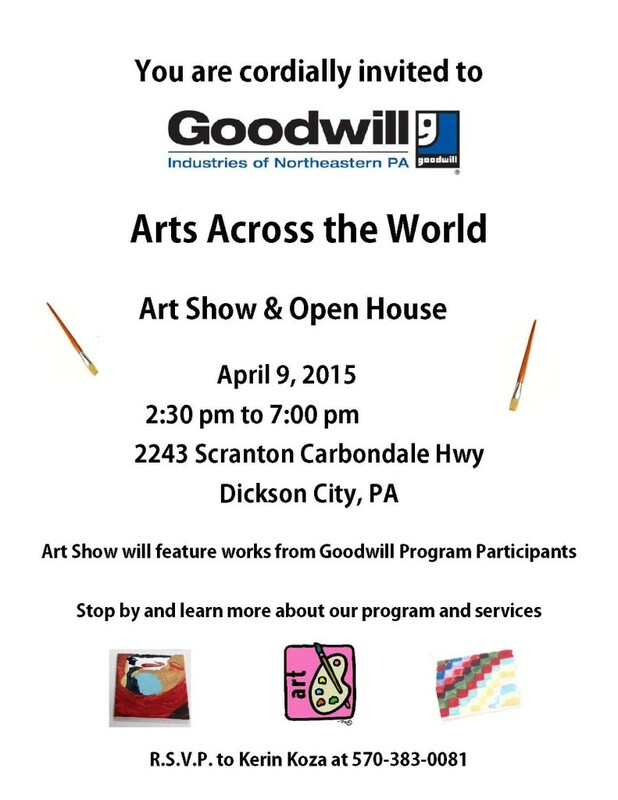 Free clothing event on May 13th! 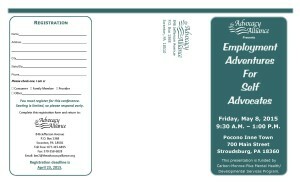 Call to register TODAY for our May 8th event Employment Adventures for Self Advocates! 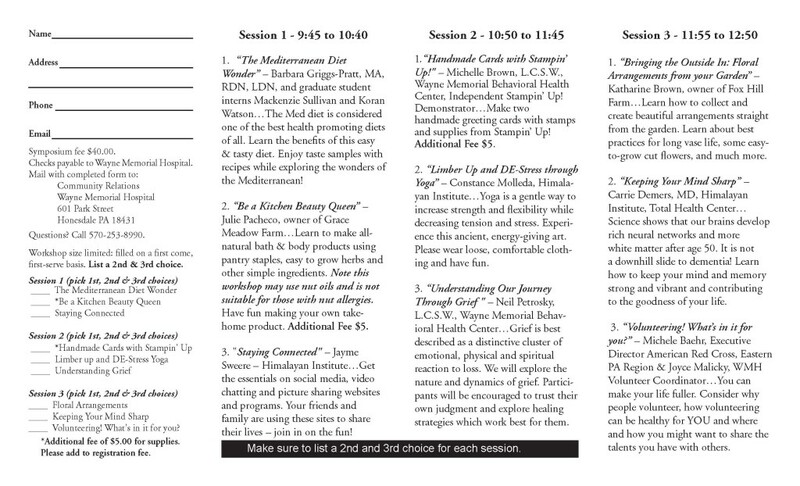 Check out our speakers for this awesome day celebrating self-advocacy! 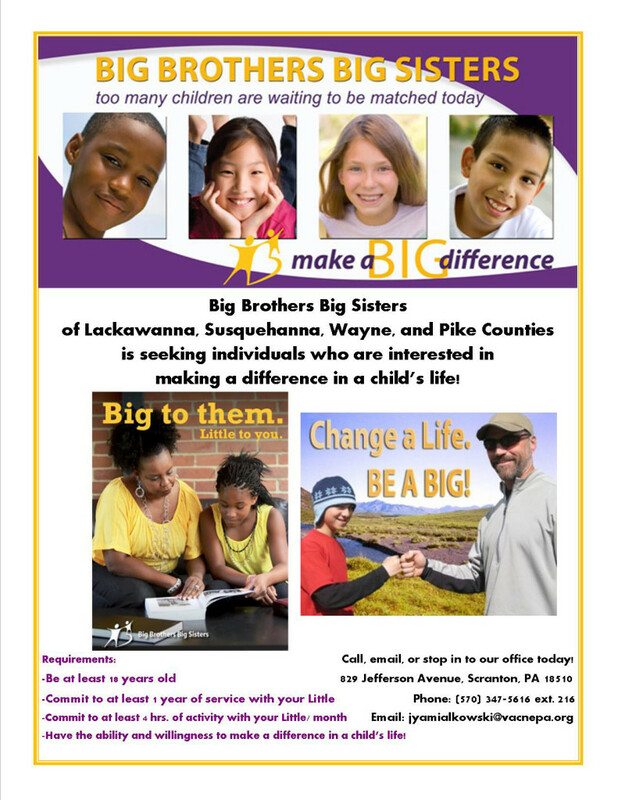 Big Brothers, Big Sisters is Looking for Volunteers! New Job Openings at the Advocacy Alliance! We are currently looking for Licensed Professionals to be part of our Early Intervention Evaluation Teams. Each Team is made up of an Occupational Therapist, Speech Therapist, and/or Registered Nurse (two professionals per team) which meet with an infant/toddler and his/her family in Lackawanna or Susquehanna County to access the infant’s/toddler’s eligibility for early intervention services. A Bachelor’s Degree and must have Pennsylvania certificate of clinical competence. Experience working with infants/toddlers or young children preferred. 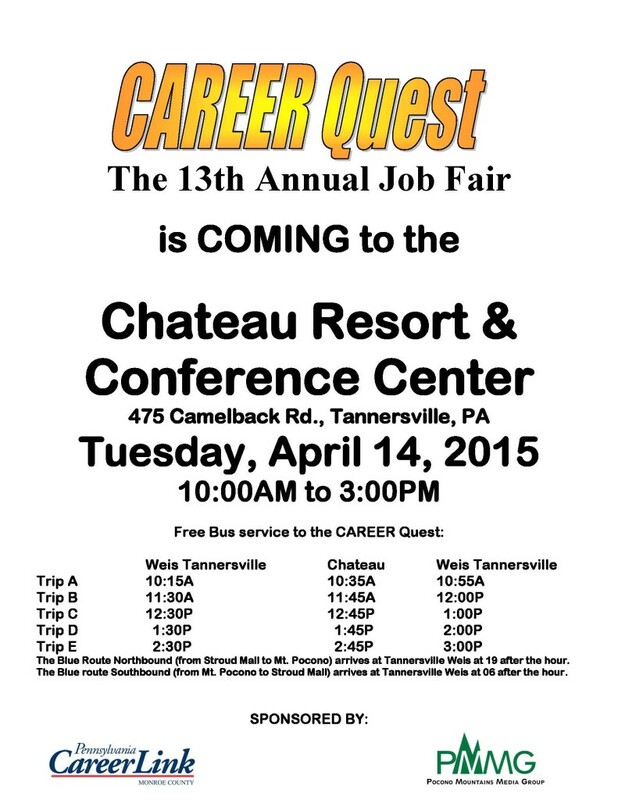 FREE BUS SERVICES ANNOUNCED FOR APRIL 14TH JOB FAIR! 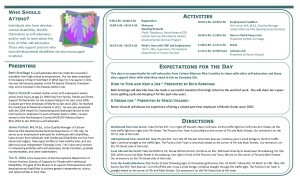 The Chalet has 3 Certified Peer Specialist positions available. The Chalet is a three person therapeutic residential program that opened in June of 2014. 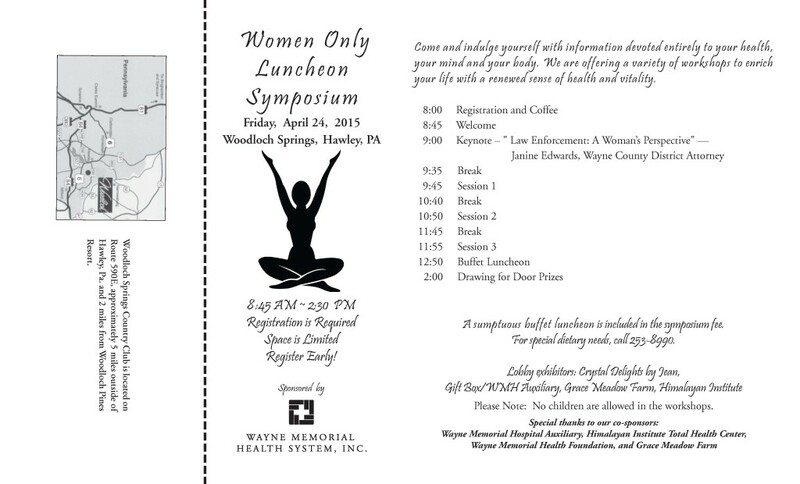 The program is located in Walnutport, PA.
We currently have 52 hours allotted for Certified Peer Specialist positions. The position pays $11.00 an hour.